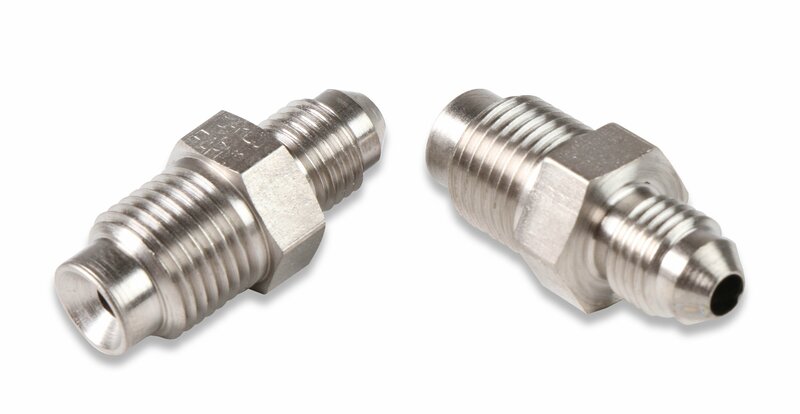 Brake Adapter Thread Size -3AN To 1/2"-20 Inverted Flare Male - 2 Per Package - Steel w/ Electroless Nickel Plating. 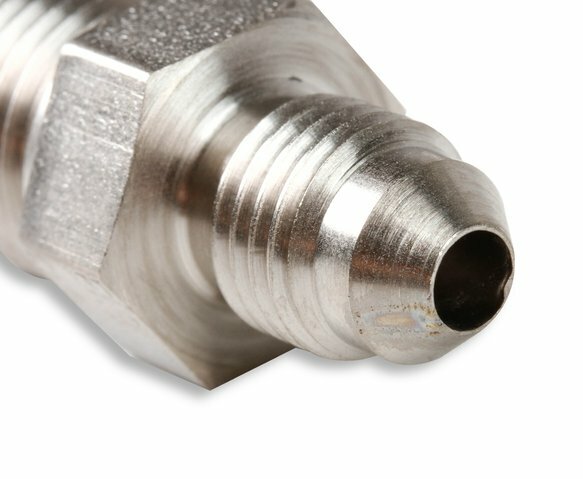 The 1/2"-20 end has longer threads required to fit most OEM and aftermarket Mopar and GM master cylinders. 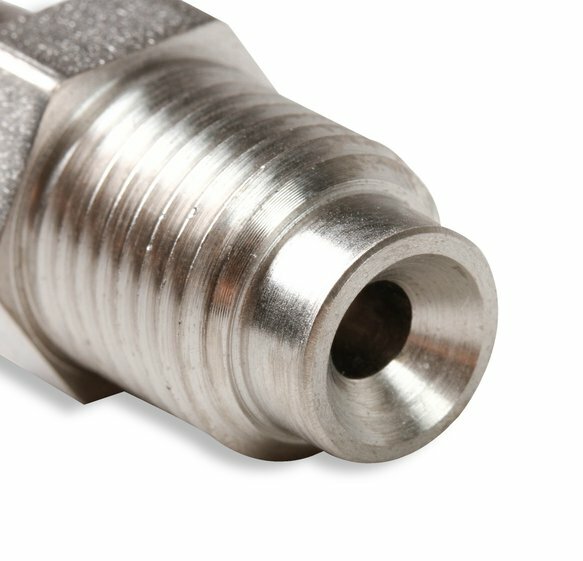 Most other adapters will bottom out before they seal on the inverted flare. 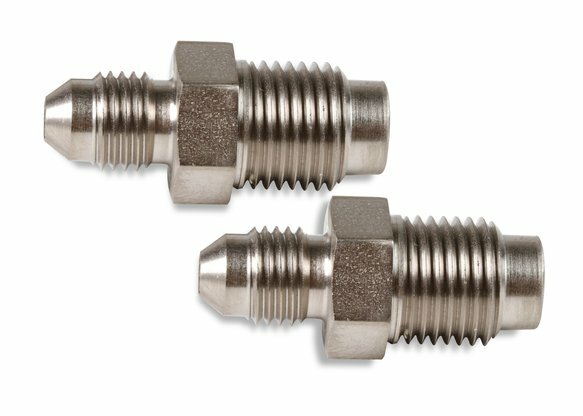 Steel adapters are recommended on all brake systems since they are stronger and can handle higher pressures.